March conferences for Kindergarten to Grade 8 students are scheduled for March 8, 2019 and then for Kindergarten students only on March 15, 2019. Kindergarten families can book conferences on either March 8 or March 15. We are once again using an online booking service. Our February newsletter is ready for viewing. 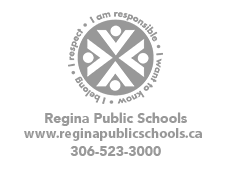 Term 1 report cards will be sent home with students on Friday, February 1st. Please contact the school office if you need to make special arrangements for pick-up.